Jerez de la Frontera lies some nine miles inland from the sea between Cadiz and Sevilla and is the principal of three sherry towns. The others are on the coast are San Lucar de Barrameda at the mouth of the ríver Guadalquivir, and Puerto de Santa Maria. Between them they produce virtually all the genuine sherry that is shipped to the rest of the world. Sherry can only be made in one place, the area lying between Jerez de la Frontera, Puerto de Santa María and San Lucar de Barrameda in the province of Cádiz. The secret is the combination of soil (the chalky, crumbly, moisture-retaining albariza), the damp climate which encourages the growth of the flor (a coat of yeast that forms on the aging wine and prevents it from oxidising) and the solera system used to blend the different vintages. Despite such a short distance between them the wine produced is affected by any slight change in the atmosphere or climate and exquisite flavors are born. Within the category of dry Sherry there is Manzanilla, which is made exclusively in Sanlúcar de Barrameda. Some drinkers swear they can detect a hint of sea in this wine, due to the proximity of the ocean (though this is more true of the variety known as Manzanilla Pasada, which locals favour but which is rarely available elsewhere). In fact, the higher humidity in San Lucar, which is next door to the marshes of Doñana, allows the flor to flourish year round. In other areas of Jerez, the yeast often dies down with the arrival of hot dry weather. Thus, Manzanilla is even drier and paler than other Sherries. Consejo Regulador de las DD.O. In 1835, a young man called Manuel María González Angel arrived in Jerez, intent on making a name for himself in the thriving and lucrative sherry business. Encouraged by the consistent growth in exports, that same year he purchased a small winery and began to produce and export his own wines. This was the start of Bodegas Tío Pepe which, due to the firm’s increasing success, became the González Byass company soon afterwards. 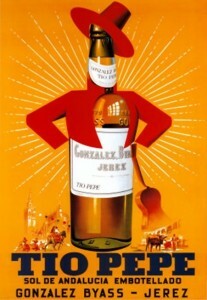 Manuel María González Gordon, Marquess of Bonanza, was the author of the most important book every written on Sherry, “Jerez, Xerez, Scheris”. Almost 80 years after it was first published, it is still known worldwide as the Sherry “bible”. The González family’s passion for wine has led them not only to spread the culture of sherry all over the world, but also to turn into a true “family” of wineries that faithfully represents Spain’s winemaking diversity. Over 30 years ago, González Byass began to incorporate wineries from the iconic winemaking regions of Spain, such as Bodegas Beronia, in Ollauri, La Rioja -, Cavas Vilarnau, in Sant Sadurní d’Anoia, Barcelona -, Finca Constancia, in Otero, Toledo -, Finca Moncloa, in Arcos de la Frontera, Cadiz – and Viñas del Vero, in Barbastro, in the Somontano region. Today, Bodegas Tío Pepe is known around the world as one of the leading producers of sherry and Brandy de Jerez. FINO: clear and perfectly dry, with an earthy aroma of almonds, fino is served chilled as an an aperitif wine, often accompanied by nuts or tapas such as jamón serrano (cured ham). 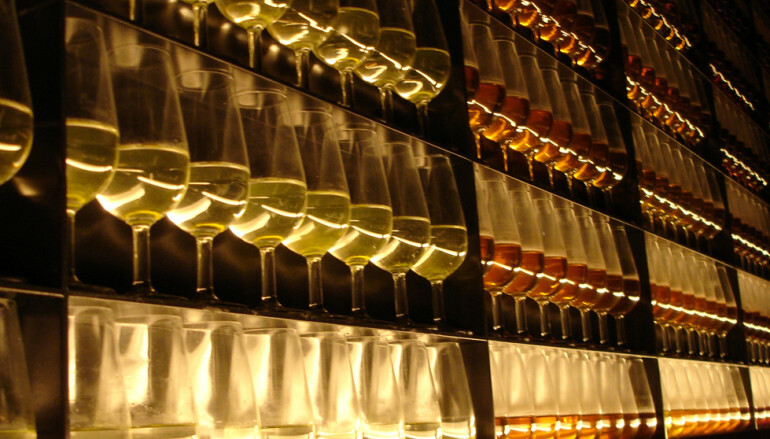 Fino sherry is best drunk shortly after bottling, so buy from a reliable source. 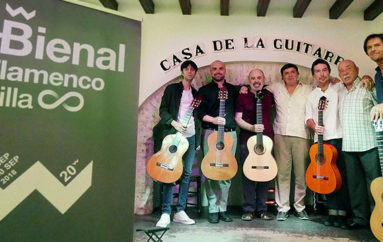 The top selling brands are Tio Pepe (Gonzalez Byass) and La Ina (Domecq). MANZANILLA: this is the fino Sherry made in Sanlúcar de Barrameda. It is even drier and paler than other finos, and within Spain it outsells other dry sherries. The best known brands are La Guita (from Hijos de Rainer Perez Marin) and La Gitana (Vinícola Hidalgo). Manzanilla Pasada, favoured by locals in Sanlúcar, is slightly darker, saltier and less refined. OLOROSO: The layer of flor yeast is thin, or absent, in this Sherry as it ages, and thus there is a partial oxidation which accounts for the wine’s darker colour. Oloroso is a rich amber, with an aroma of hazelnuts, and it makes an exceptional aperif, especially with cured ham. It is also one of the few wines which can stand up to such difficult-to-match foods as eggs, artichokes and asparagus. 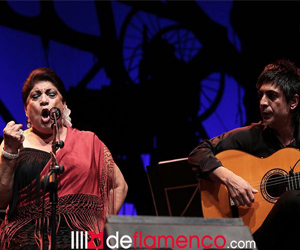 The best olorosos – that is, the oldest – include the legendary Matusalém (González Byass) . AMONTILLADOS: Named after the wine-making town of Montilla (Córdoba), this Sherry is often described as being mid-way between a fino and an oloroso, with some of the qualities of both. It starts out the same as a fino, but the layer of flor yeast is allowed to die off. It is therefore darker in colour. The better ones can be extraordinary. 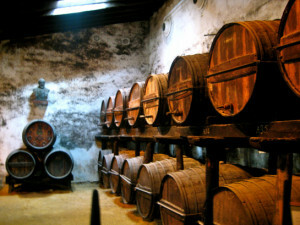 Well known labels include Amontillado 51-1 (Domecq) and Amontillado del Duque (González Byass). PALO CORTADO: In Jerez, they say this is a wine that you can’t make – it just happens. It starts out as a fino, but the flor yeast fails to develop. A rare treat, it has an aroma reminiscent of an amontillado, while its colour is closer to oloroso. One of the best is the 60 year old Sibarita (Domecq). CREAM SHERRY: This is a big favourite among drinkers outside Spain, especially in Great Britain, Holland and Germany. It results when you take oloroso Sherry (or fino, in the case of pale cream) and sweeten it. This is traditionally done by mixing in a measure of Pedro Ximenez, a naturally sweet wine, but many creams are made with fructose or grape concentrate. It makes an interesting dessert wine, and is a good companion for pâtés. The best selling brands are Harvey’s Bristol Cream and Crofts. PEDRO XIMENEZ, or PX: This naturally sweet wine is named after the grape variety, which is widely grown in other Andalusian wine regions. At worst it can be overly sweet and cloying, but when made and aged with care (factors which are reflected in the price) it is elegant and velvety, great with dessert and even better on its own. Gran Orden PX from Garveys is considered one of the best wines in Spain. 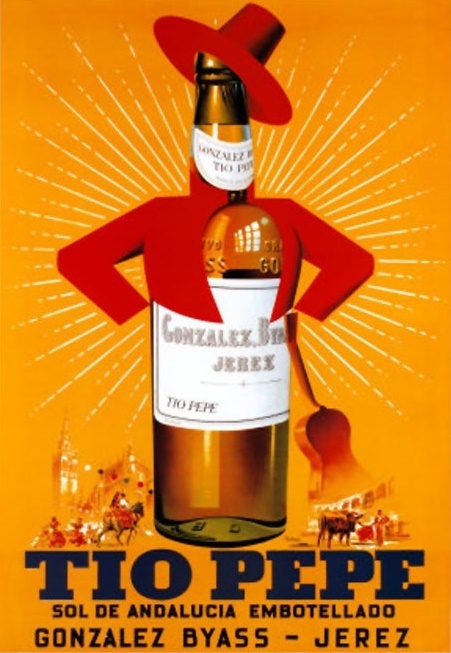 BRANDY DE JEREZ: Jerez produces 90 percent of the brandy in Spain. It is made by aging wine spirits in casks which have previously been used to age Sherry. The spirits are not made from grapes grown in Jerez, but come from other regions, especially Extremadura, La Mancha and neighbouring Huelva. It is sweeter and more caramelised than French brandy, syrupy if of the basic variety, warm and mouth-filling at its best. Price is a good indicator of quality.